Raich Carter, like so many of his great contemporaries, may not be a household name today, but to those who witnessed him in action, Carter lives long in the memory. Cruelly stripped of the chance to play during his finest years due to the war effort, Carter is the only man who can hold acclaim to having won an FA Cup before and after the war. An exceptional sportsman, Carter was not content as one of England’s finest footballers and also played County Championship Cricket for Derbyshire. Beginning his career in 1931 for Sunderland, at the age of 18, Carter went on to represent the club 245 times, scoring 118 goals in the process. In 1936, still only 23, Carter became the youngest man to ever captain a side to a league title as Sunderland became Football League Champions in the 1935/36 season. Within a year, he had added the FA Cup to his list of honours, scoring in the Black Cats 3-1 defeat of Preston North End. The complete footballer, Carter was not an out-and-out striker but rather an inside-forward who contributed to multiple phases of play. Both a creator and converter of chances, Carter was likened to Paul Scholes in his prime at Manchester United by biographer Frank Garrick. Despite his midfield duties, Carter was Sunderland’s joint top scorer in their Championship winning season. The Mackems put an end to Arsenal’s First Division dominance, the North Londoners had won the last three league titles and it would take a special team to stop them adding another in 1936, Leading the league, Sunderland faced the defending champions in a crucial game; in the quest to prove their title credentials at Roker Park, it was Carter who spearheaded a famous Sunderland victory, scoring a hat-trick in a 5-4 win. The victory gave Sunderland a seven point lead at the top of the table, a lead they would not let slip. It would be Carter once more who led Sunderland to victory in the Community Shield, against Arsenal once more, scoring a last minute winner. The title win had been Sunderland’s sixth, but one competition which continued to elude them was the FA Cup. This became priority number one in many respects the following season. Sunderland reached the final which was to be played against Preston North End at Wembley, the game would prove a fitting conclusion to a fine few weeks for Carter. He had just married his wife and played his finest game for England against Scotland in front of 149,693 people. So good was Carter’s performance, executives from Madame Tussauds met with Carter to arrange a waxwork of him, despite his tender age of 24. In the final, the Silver Fox did not disappoint, assisting twice and scoring once as Sunderland came back from a goal down to win 3-1. 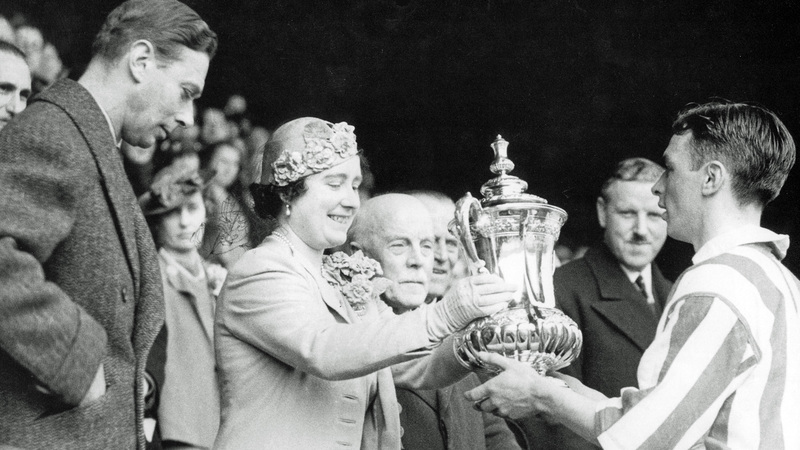 Carter received Sunderland’s first FA Cup trophy as captain from the Queen in the coronation year of 1937. Instant success would come his way with the Rams, and Carter found himself back at Wembley for the 1946 FA Cup final. 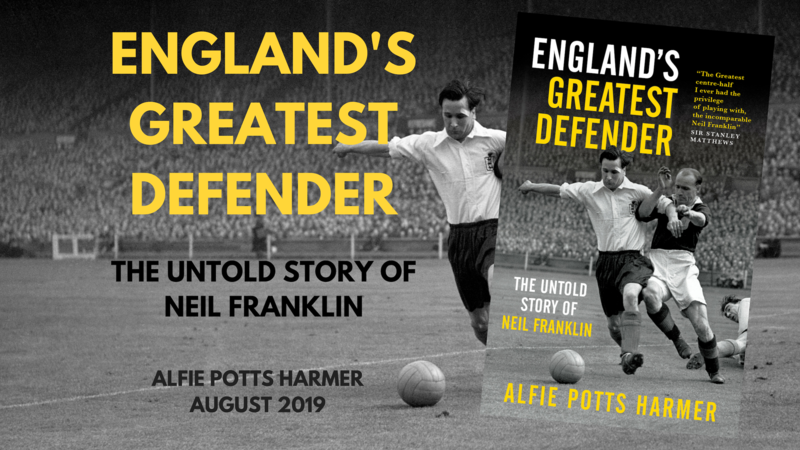 For Carter, now an experienced pro who had won almost every domestic trophy and played for England at Wembley on numerous occasions, the game lacked the novelty of his Sunderland cup final. The novelty was replaced by an assured confidence. Interviewed after the game, teammate Reg Harrison declared, “I knew we’d win the cup because Raich said so.” His confidence rubbed off on the rest of the Derby team and an attacking Charlton side made for a thrilling encounter, but one in which the Rams always had the edge and ran out comfortable 4-1 victors to make Carter the only footballer to ever win an FA Cup before and after the Second World War. Raich would never be drawn on comparisons between his time with Derby and hometown club Sunderland, but he certainly enjoyed his time in Derbyshire where he went on another cup run two years later without managing to lift the trophy and also starred for Derbyshire in county cricket. A right handed batsman, he played for Derbyshire in 1946 and later appeared for Durham in the Minor Counties Championship. Carter’s cricket experience was limited before the war, but in 1946 he was asked to play for Derbyshire’s second team. He top-scored with 47 against Notts’ second team and was asked to play professionally, Carter accepted the offer. Raich played just three First Class matches for Derbyshire, as his lack of experience was exposed when batting against top class bowlers. He admitted his lack of judgement in bat, and found the longer sessions, which he had not been used to, exhausting. As a bowler, Carter never looked out of place. He took two wickets for 39, showing his natural ability, but at 32, he was too old to iron out the deficiencies in his batting. After this, Carter only played for Derbyshire in benefit matches, although he did turn out for local side Chaddesden and briefly for Durham. Over 3,000 people turned out to watch his 49 runs against Duffield in the semi-final of the Mayor’s Hospital Cup. A pulled muscle ruled Carter out of the final, which Chaddesden lost to Rolls-Royce without their star man. At the age of 35, with little career prospects outside of the game, Carter was keen to make the move into management and it became clear that this role would have to be away from Derby. He was awash with offers; Notts County, Leeds United, Nottingham Forest and Hull City were all very keen on acquiring his services. Still regarded as one of the finest players in the English game there was shock when Carter chose Third Division Hull City as his next destination. Carter himself had worried about making such a drop but was drawn by the ambition of the Hull directors and current manager Major Frank Buckley. The Tigers paid £6,000 for Carter to become player/assistant manager and serve as the understudy to Buckley. Major Frank Buckley was a veteran of the game who had been very successful at Blackpool and Wolves, and his influence within the game, particularly upon Sir Matt Busby, Bill Shankly and Brian Clough, is still spoken about today. The signing was a huge coup for Hull and when Carter entered East Yorkshire, he saw posters all around the city advertising the weekend’s game against York, simply declaring “Carter Will Play.” Such was the talk and hype surrounding him, Carter admitted to feeling a nervousness he had not felt since his days at Sunderland when he took to the field at Boothferry Park for the first time. Shortly after his Hull City debut, Buckley resigned and it became clear Carter would soon become the new first team manager despite little to no experience. In the same year Carter played his last game for England, in an international career spanning over 13 years. The second longest at the time and still the eleventh longest today of any England player. Carter was given full control and hopes were high in East Yorkshire for the forthcoming season. With each game, a record attendance seemed to be set at Boothferry Park as the Tigers looked to get out of the Third Division, and Carter continued to show his class on the pitch. Such was the excitement surrounding him in the Third Division, opposition fans were even known to greet and celebrate his arrival at their grounds. By Christmas, the Tigers were going strong in the league, enjoying a cup run, seeing regular attendances just shy of 50,000. Hull City drew Manchester United in the sixth round of the FA Cup and the demand for tickets was phenomenal. An official crowd of 55,019, still a Hull City record, was recorded with over 10,000 letters to the club from fans not even opened. Fearful of Carter, Manchester United tried to mark him out of the game but struggled to overcome the Third Division side, needing a 73rd minute controversial goal to go through 1-0. Despite defeat, the performance had given Hull and Carter national acclaim and respect, which was surmounted by promotion at the end of the season despite testing fixture congestion. He went on to establish Hull in the Second Division before retiring and going on to manage Cork, Leeds, Mansfield and Middlesbrough. After full retirement from management, Carter moved back to East Yorkshire where he remained until his death in 1994 at the age of 80. His legacy lives on, the Silver Fox is still talked about in the three city’s who were graced with his remarkable talent. In Sunderland, there is a sports centre named the Raich Carter Sports Centre in his honour, whilst in Hull he has a road named after him and the first ever game at Hull’s KC Stadium between Hull and Sunderland was played for the Raich Carter Trophy. Oh, how we ( SAFC) could do with Horatio at the moment !! How come you failed to mention that Raich played with the famous Republic of Ireland side Cork Athletic in 1953 and scored the winning goal in their Cup Final replay against another Cork team Evergreen and thereby added an FAI Cup winners medal to his list of honours? ?